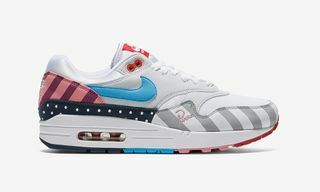 Key Features: The Air Max 1 from the second “Animal” pack features a multi-print upper atop an Air Max sole. 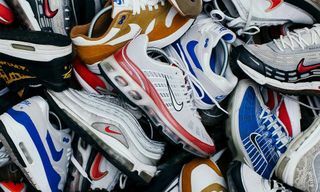 Nike branding can be found on the heel and on the tongue as well as a large red Swoosh on the side. 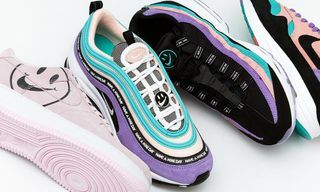 The pack also includes an accompanying Air Max 95. Editor’s Notes: Japanese boutique atmos has confirmed another partnership with Nike on the “Animal Pack 2.0,” in honor of Air Max Day 2018. 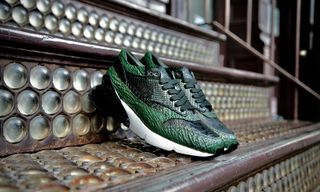 The pack is a reprisal of the original atmos x Nike “Animal” pack from 2006. Slated to be released alongside the Air Max 95, the Air Max 1 shoe now features a pony-hair infused upper, combining cheetah, zebra and tiger prints throughout. 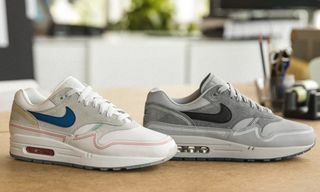 Making it a knockout for Spring, the kicks also feature green Nike branding on the heel and a large red Swoosh to match. Flip through the detailed on-foot pics courtesy of BSTN store above. Check out atmos’ Instagram for more details and read on for information on the story behind the animal pack. In related sneaker news, adidas celebrates international women’s day with EQT exclusives.